Watching Home Alone will have most parents believe that a child should never be left alone, but one mother is challenging this idea. So, on occasion, she leaves her seven-year-old son in their apartment for short periods of time of 45 minutes or less, and she says the independence and confidence it gives him is well worth it. ‘It’s essential for kids to learn and be confident that they have the ability to take care of themselves and to fight their own battles – and to know that they have the support and confidence of their parents as well,’ she explained. 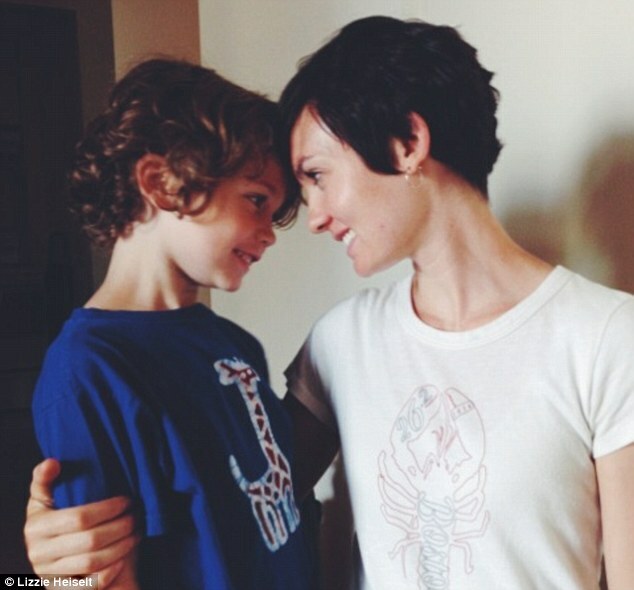 In Ms Heiselt’s post on her blog the Mother Runner, she explains that her son is a homebody who is responsible, follows the rules and is happy to be on his own. Referring to him as Manchild because of his ‘old soul’, she says when he asked to be left at home while she went to the laundromat around the corner from their apartment building, she acquiesced – after first teaching him what to do in case of emergency, of course. On another instance, she took her two younger children for a run around Prospect Park, and again she let her son stay behind. ‘I was gone for about 45 minutes for the longer of the excursions, [and] by the end of that time, I was a little bit anxious to get home,’ she told MailOnline. She added that as he does it more frequently, he will likely get accustomed and 45 minutes won’t seem like such a long time anymore. But until then, she doesn’t want the experience to be uncomfortable for him. ‘Not that he wouldn’t be able to handle himself in terms of following the rules or taking care of himself,’ she clarifies. Ms Heiselt has written that she is averse to the idea of ‘helicopter parenting’ – mothers and fathers who stifle their kids by being too involved in their lives – and instead encourages hers to learn and do things on their own. ‘They need to have the ability to make their own decisions in life and to function without supervision,’ she says. Not only is it perfectly safe to leave your child alone, it’s also perfectly legal – at least in the state of New York. According to the Child Protective Services website, there is no specific age limit when it comes to children being at home alone. ‘Some children are responsible, intelligent, and independent enough to be left alone at 12 or 13 years of age,’ it reads. For Ms Heiselt, she’s confident that she has made the right decision for her son – although her feelings on the topic may be significantly different when her daughter, now two, is his age. ‘I like to think that it would depend on the child, regardless of their gender, but I also know that little girls appear more vulnerable,’ she admitted.